As some of you know, I’ve been the bug a lot more than the windshield lately. In the last week, I’ve said my final goodbye to my grandfather, caught some sort of bug literally that has made me feel the worst I’ve felt in years and sadly got the news that my newest full time job offer has been rescinded. This is enough to make anyone feel a little down in the dumps. However, in the light of all this sorrow, I am trying to make sense of it. Why? Why do bad things happen to seemingly good people? Why do they seem to happen all at once? Why me? Although I can’t tell you any of the answers to these questions, one of the things that I do know is that it is healthy to ask them. It is also healthy to try to rationalize them and to cry when you can’t or you can and you don’t like the answer. One of the things that I find helpful is talking to people who really know the right thing to say. The power of the human spirit is a beautiful thing. What is even more beautiful is that you never know who is being touched by your spirit and when. I got an interesting e-mail the other day from an old colleague who I spent a summer co-teaching students from Bejing with. I wanted to share it with all of you. It’s Nicole in Cali! 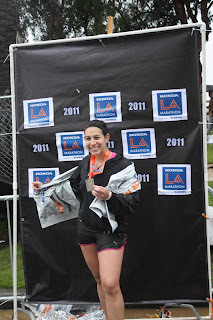 I wanted to let you know that I ran the LA MARATHON because of you! 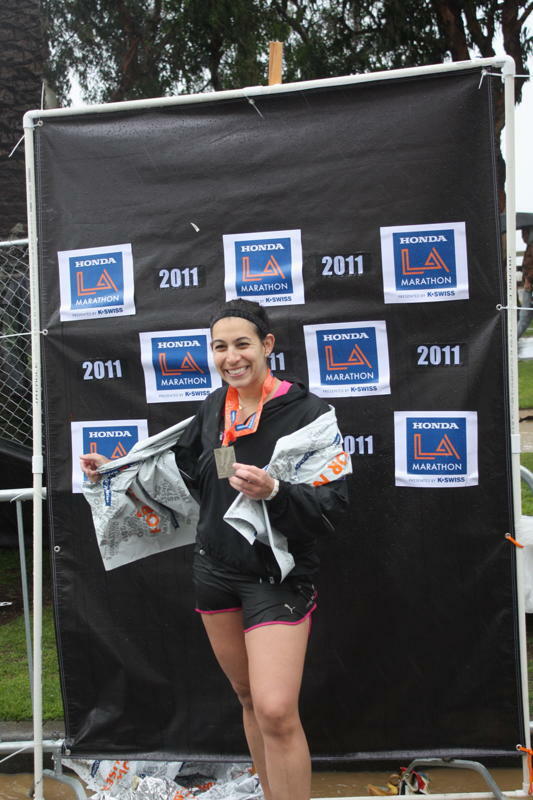 You truly inspired me to do something I have wanted to do the last 6 yrs living in LA! What an amazing course and well tough day with hurricane like wind and rain! Yes, you truly inspired me as with DDD ( degenerative disc disease), doc told me a few yrs ago after being rear-ended in a car accident, prob not best to run, bad for the back. 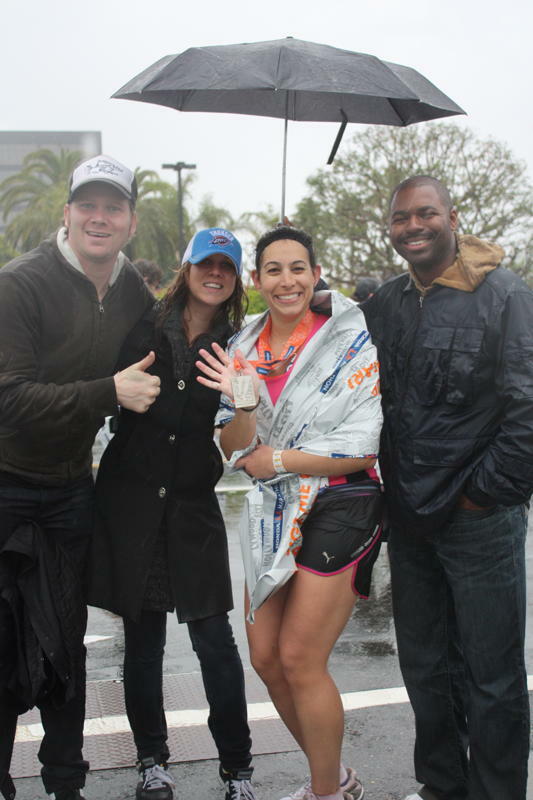 I went on though and finished the race in 5.31 hours, apparently top 40% for my age group, not too shabby in hurricane like 50 degree weather. Go figure today was 80 degrees! I would rather have rain though then dropping like a fly with hot weather. Happy to hear this email lifted your spirits. I found your blog recently and loved reading it! Nicole, my sincerest congratulations to you and to your accomplishment. I may have inspired you, but you were the one who crossed the finish line. 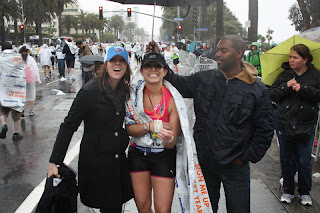 I am so grateful that this blog gave you the motivation to accomplish what you did. Put your feet up and celebrate!! Also keep me up-to-date about your next race so I can feature you on this blog again. Kudos again! !